My first real bus photography trip using a Digital Camera was back in 2003, a weekend in April I decided to drive up to Sheffield and meet up with fellow enthusiast Ian, whom I had become friends with via various Bus groups on the internet and he is an expert on the Yorkshire Scene if you follow the Yahoo info groups. Friday was planned to take in South Yorkshire starting in Sheffield before moving on to Rotherham, Doncaster, Barnsley and Wakefield all on a Metro Day Ticket for £4.99 if I recall correctly! Looking back on the photos now I came across a few familiar faces that have become local to us in the East of England. 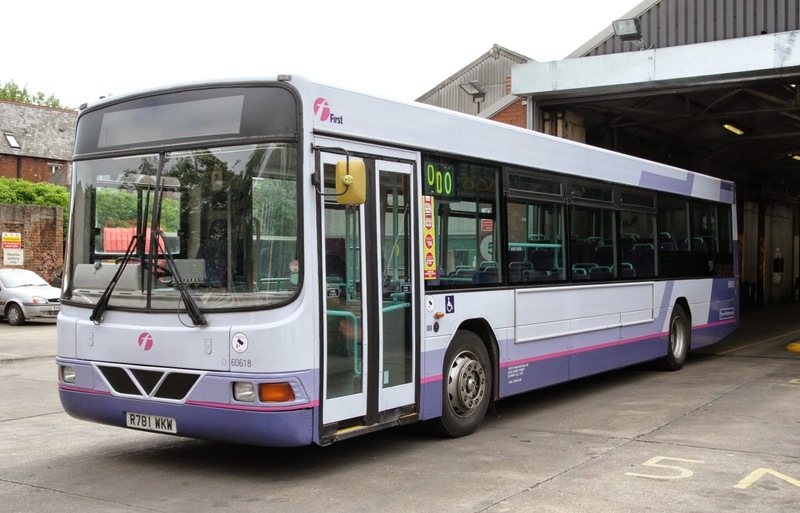 Barnsley & District was a subsidiary of Yorkshire Traction and they acquired a batch of former Ambassador Travel Volvo B6's which had operated Park & Ride services in Norwich before heading North. Saturday was a mix of bus and train journeys taking in Huddersfield, Halifax, Leeds, Bradford and finally York via a few local Inn's for refuelling of course! Bradford was home to a few vehicles that have since made the trip to East Anglia such as recently departed 60813 which I photographed and another Lowestoft survivor 30886 which i also managed to get on film, little did I know that quite a few northerners would be coming our way over the next few years! Final photo is of Huddersfield liveried Dart 40603 M211VWW which along with sister 40602 arrived at Lowestoft initially in 2008 before heading to Norwich. You may notice my photography skills have improved since the trip but good memories of a weekend of Beer and Buses! 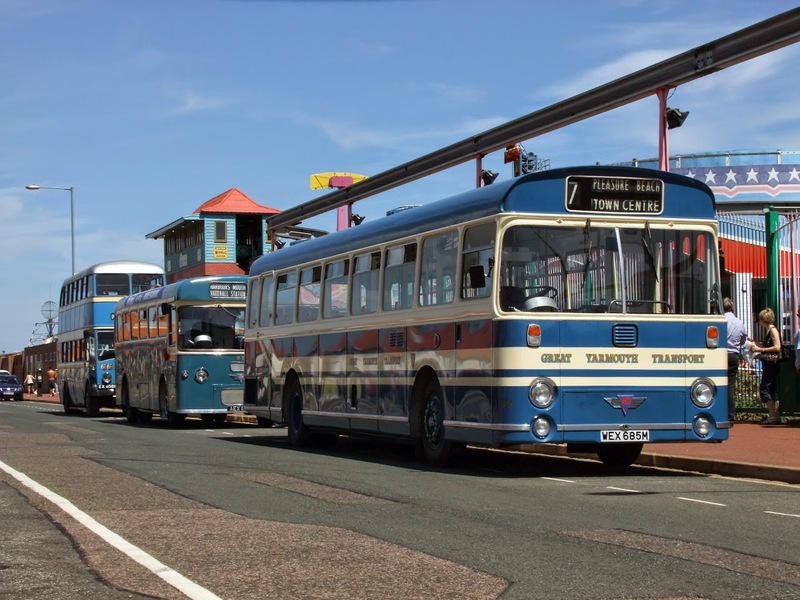 All the recent posts regarding the Olympians still hard at work i thought i would share a few photos from my collection looking back at some of the vintage that operated around Norfolk & Suffolk. Obviously the First Olympians ran in the Red & Cream of Eastern Counties and im saving those for another day! 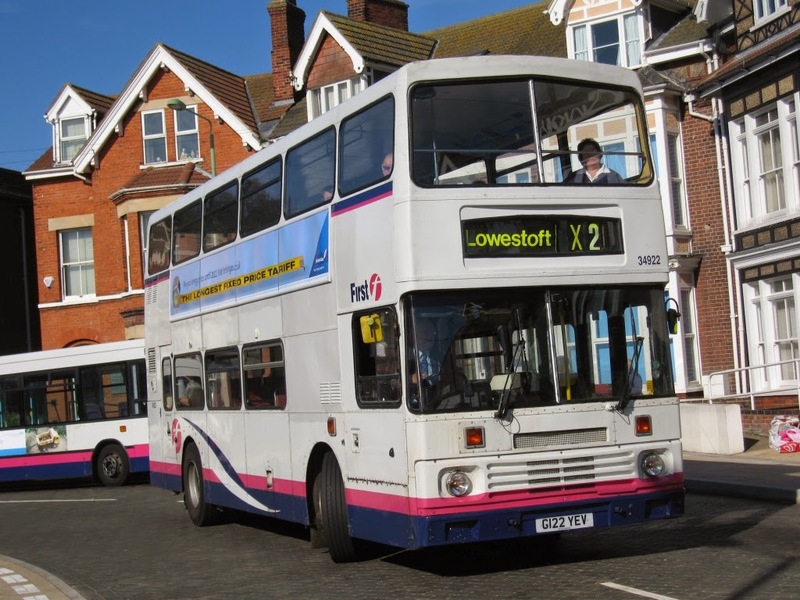 First up is 34922 G122YEV, she pretty much worked out of every First depot during her life here after coming from First Capital, she is pictured in 2008 at Lowestoft and you will notice the unique destination screen!. 34108 - 34114 arrived in October 2008 from First Avon, they were new to Yorkshire Coastliner and operated the express service between Leeds, York & Whitby to name but a few before being purchased by Firstgroup. The Tri axle Olympians are another post altogether, but could not resist a shot of one in this version.! I am pleased to bring you the first pictures of Gemini 37573 AU58ECX in its new colours. 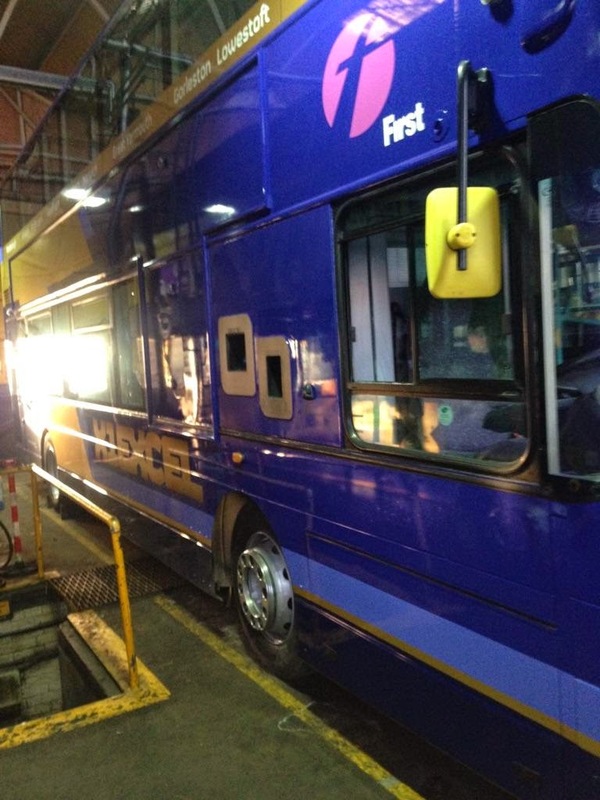 The decker is currently at First's Kings Lynn depot and is awaiting an inspection and for its belts to be removed. Their normal workings are usually on contract duties transporting workers to the Bernard Matthews factory. Today was my first day out, for some time, observing activity following a short period of being 'confined to barracks' following an attack of the lurgy! Shortly after Tim Miller made me aware that another of the paint float vehicles was in use at Beccles on the X2 service heading for Lowestoft. Luckily I was in position at Lowestoft Railway Station! 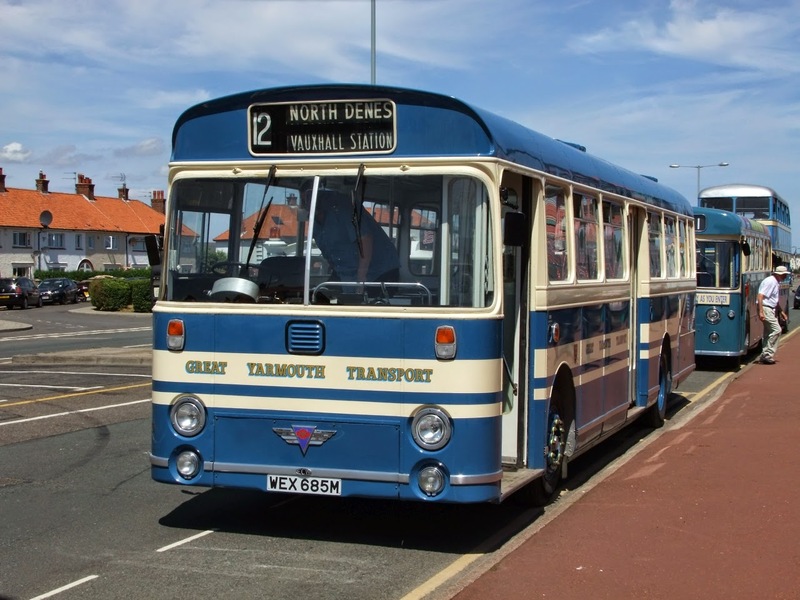 I then walked to the bus station where another notification from Tim alerted me that a second saloon was on the X2 and surprisingly it was non other than ex Great Yarmouth 43859 EG52FHD which had stepped up to cover the route. 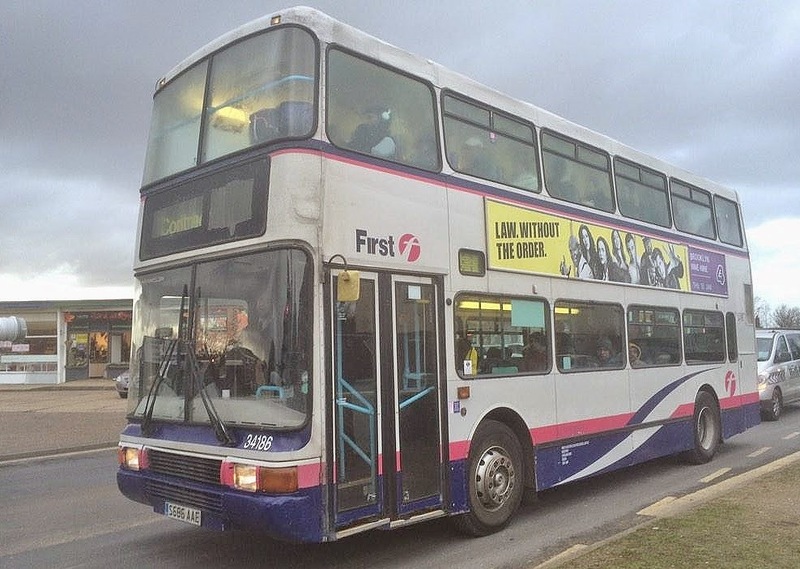 Latest transfers are taking place over this weekend with 43859 EG52FHD moving over to Lowestoft from Yarmouth, 43864 EG52FGA has also followed now its engine problems are sorted out. 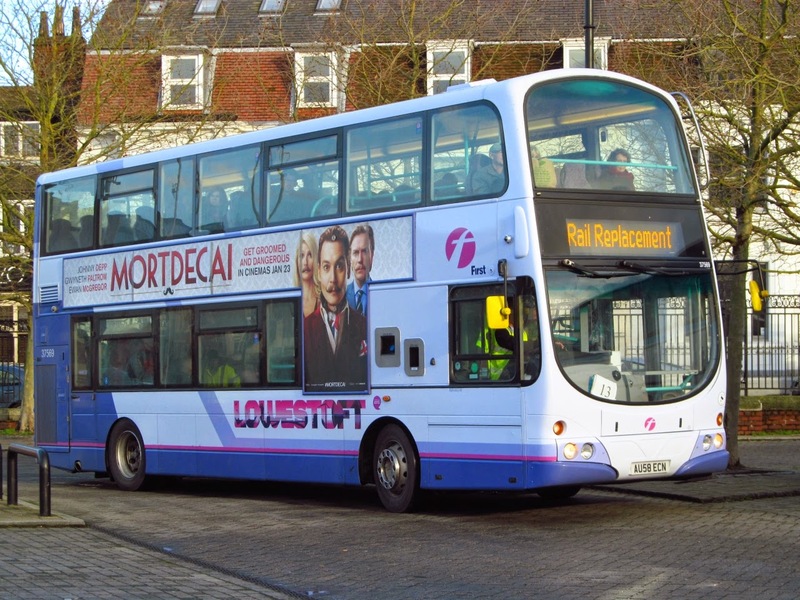 Lowestoft Enviro 200's 45116/45117 & 44928 (VT09JPT/ST58JPT/EU08FHB) are also moving up to Norwich. 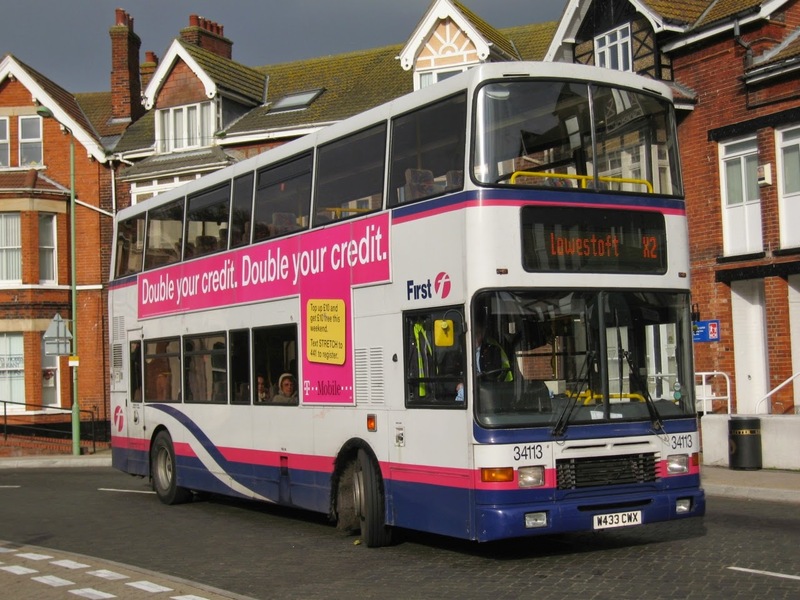 First South Yorkshire Volvo B10BLE 66112 R912BOU is at Lowestoft as originally reported, 30888 W743DWX remains on loan at Lowestoft from Yarmouth. Many Thanks to Danny Beales for the Update. 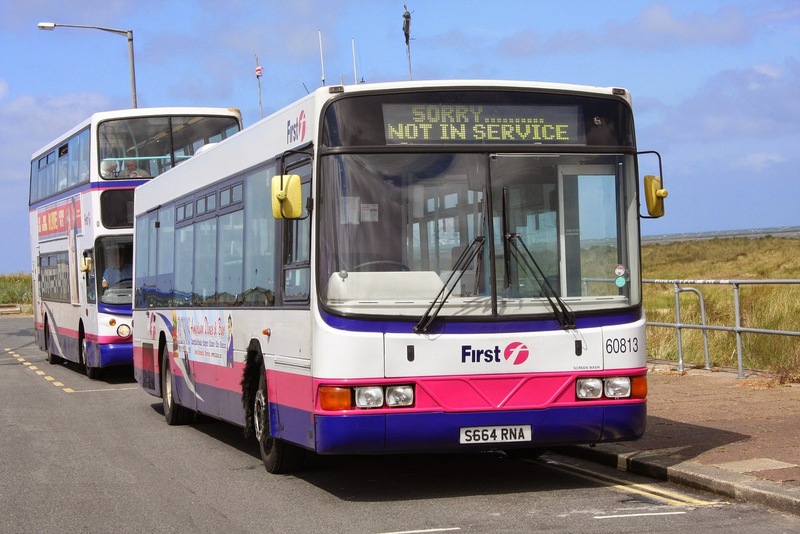 Three former Yarmouth Volvo B10BLE Wright Renowns which were recently withdrawn have made their way down to a new home with First Devon & Cornwall. 60813/60814 & 66126 all arrived in Plymouth yesterday to begin another chapter of their working lives. 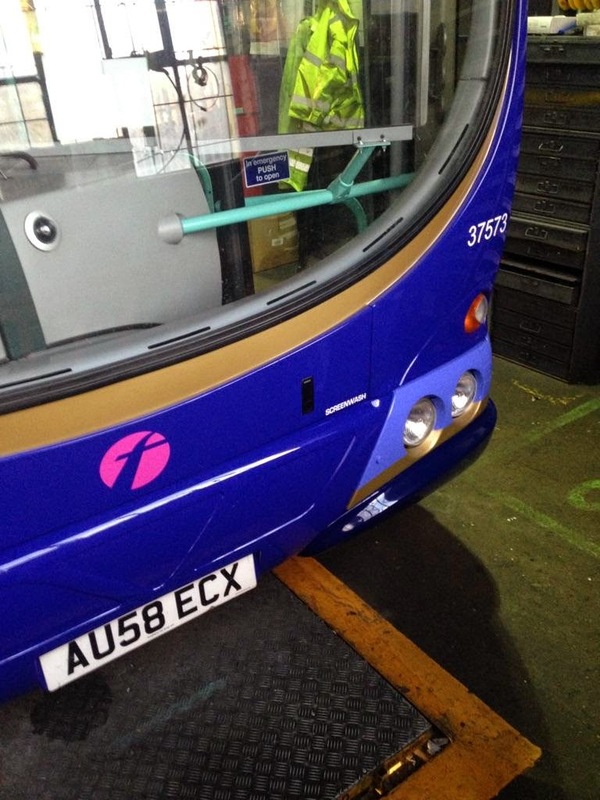 60813/4 were new to First West Yorkshire whilst 66126 was new to First Hampshire. 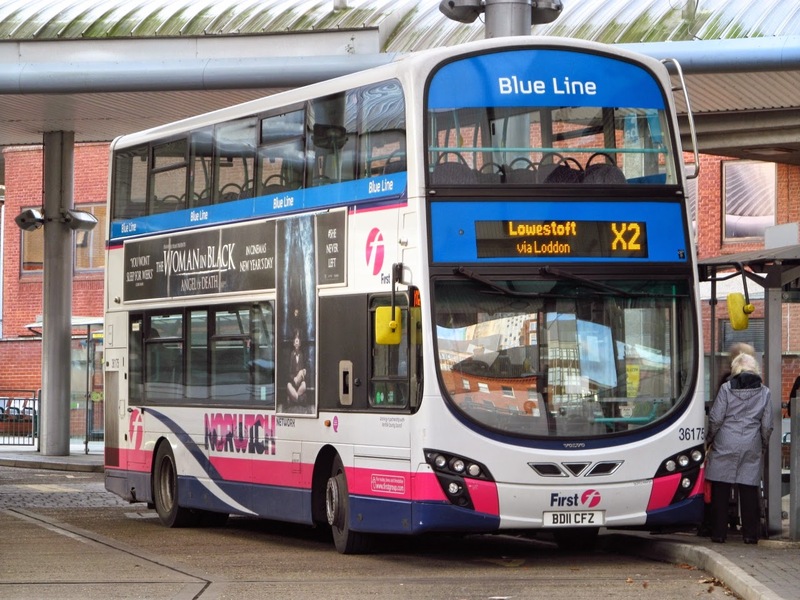 They have been replaced at Yarmouth by Norwich Volvo B7L's 66334/66341 & 66344, all were new to First Midlands (Leicester & Northampton). 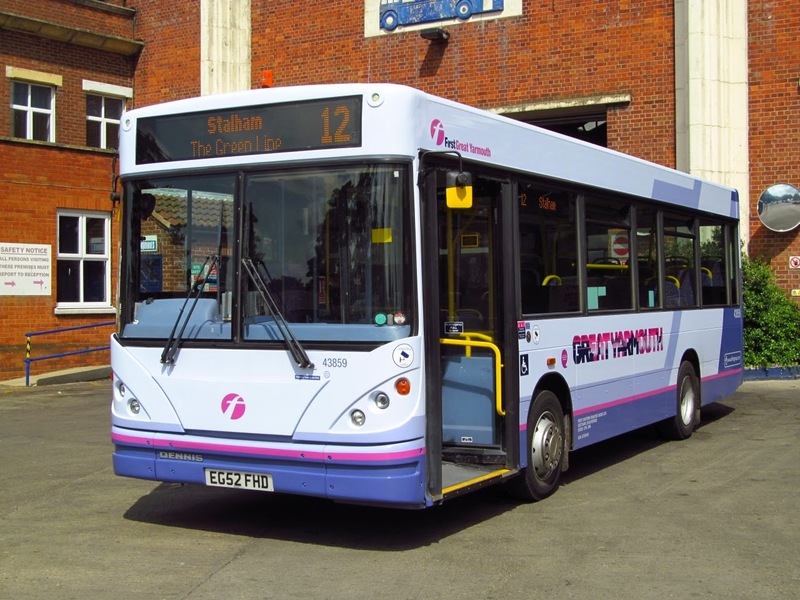 First Eastern Counties advises that the first two journeys of the day from Caister to Great Yarmouth and James Paget Hospital are to changed from this Monday (26th January 2015). 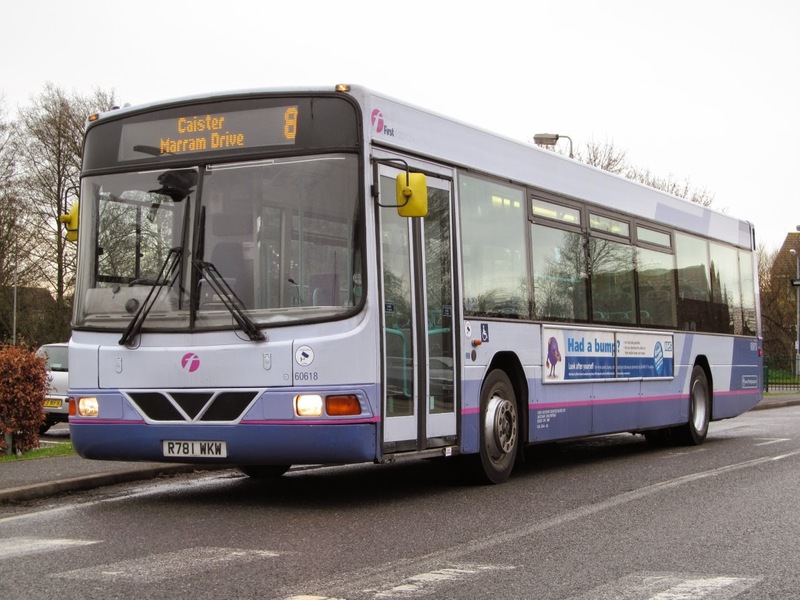 The 0614 from Caister will run 10 minutes earlier to Great Yarmouth and then depart Market Gates 13 minutes earlier at 0627 to James Paget Hospital. 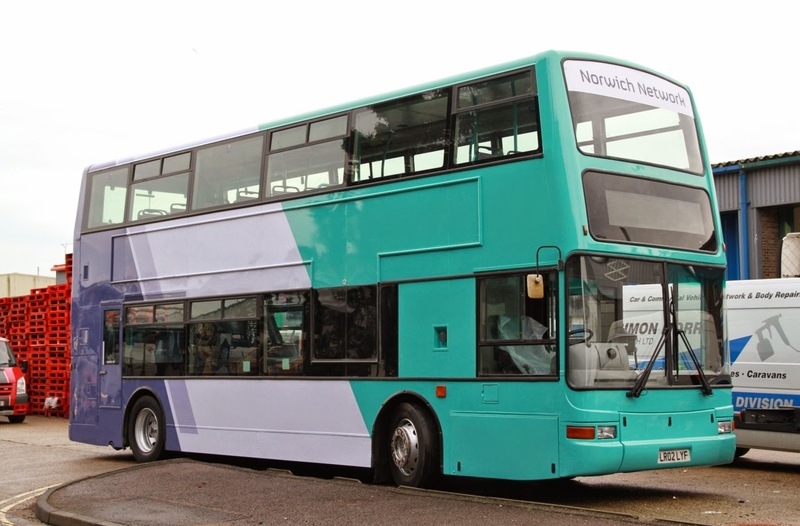 This is to maintain/improve connections with service X1 to Norwich. The 0634 from Caister will run at the same time to Great Yarmouth and then depart Market Gates 3 minutes earlier at 0657 to James Paget Hospital. The second local fleet in the news is the little mentioned Marett's Chariots of Aylmerton. 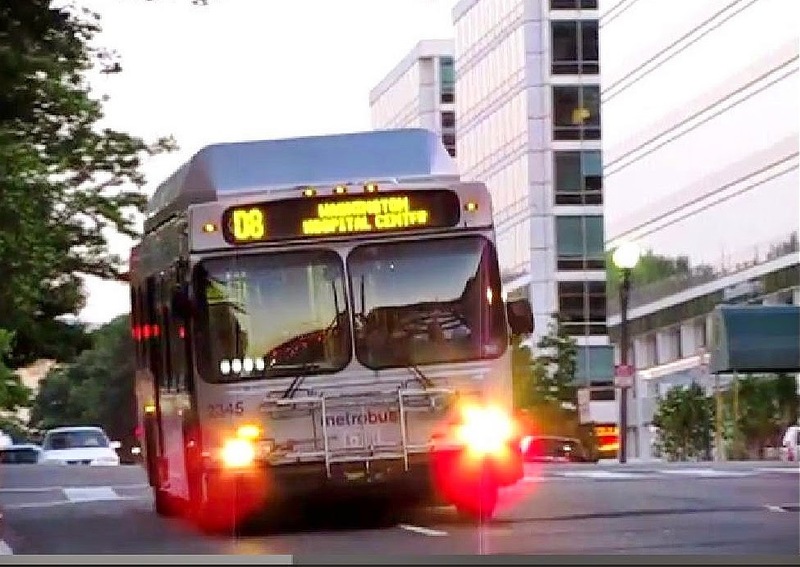 The company, ranked as one of the best in Norfolk, is included in today's Route One Magazine. 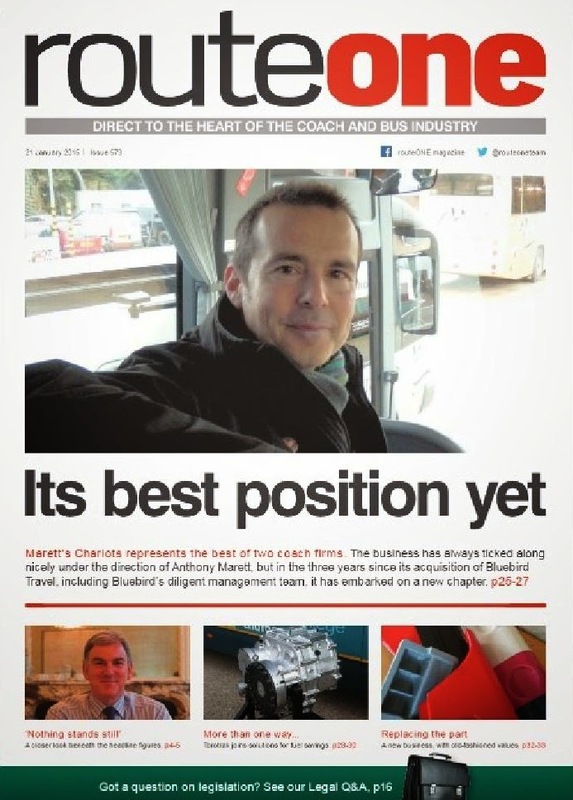 Started in the late 1980's, its acquisition of Bluebird Coaches in 2011 has put the business in the strong position it sees itself today. 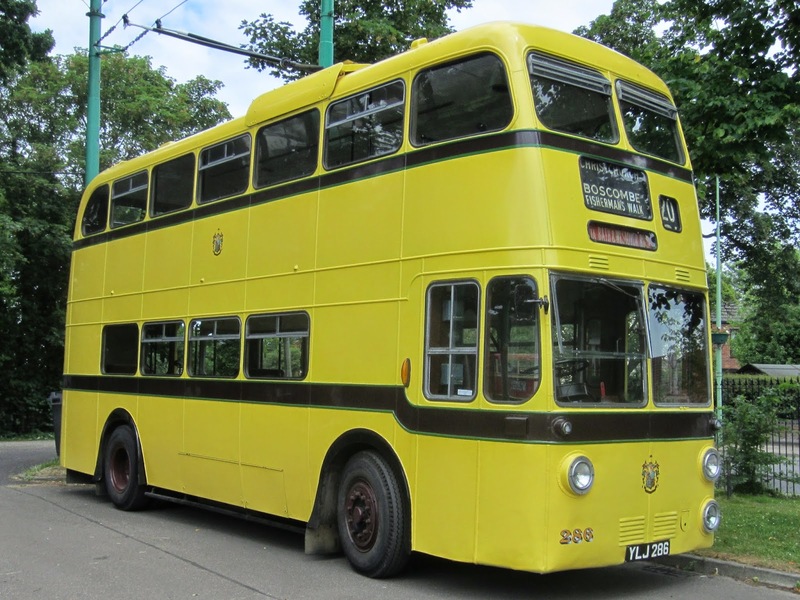 Sunday 22nd March is a date to place in your diaries and is the day when classic buses run again in the fine city of Norwich. 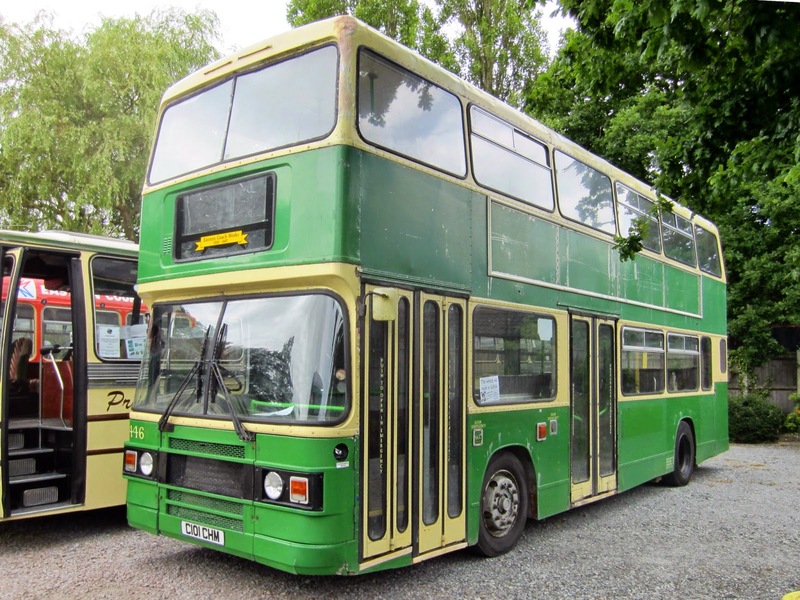 In attendance will be buses from the collection of the East Anglia Transport Museum, Eastern Transport Collection, Ipswich Transport Museum and private collections. I returned home via Southtown Road only to see ADL Enviro200 YW14FHS pass me in the opposite direction on Anglian's 11:25 Service 81 from Beccles. 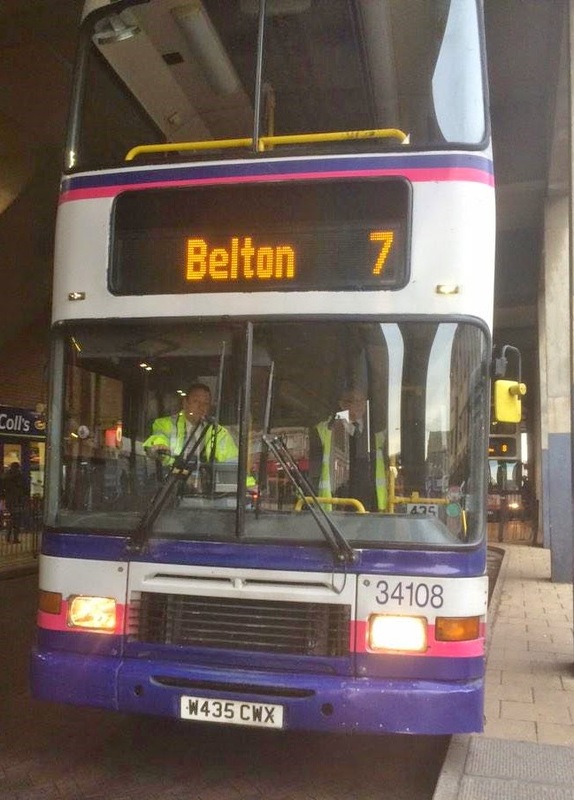 The bus was new to Henderson Travel of Hamilton during July last year and still wears the Scottish operator's fleet number 214. 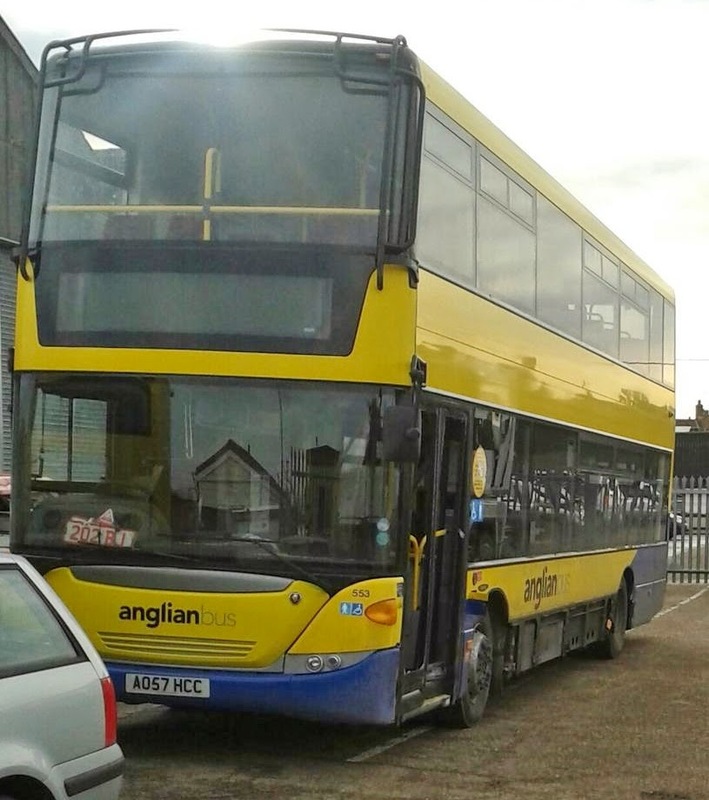 The vehicle is currently on loan to Anglian and has temporarily received their fleet number 399 as well! 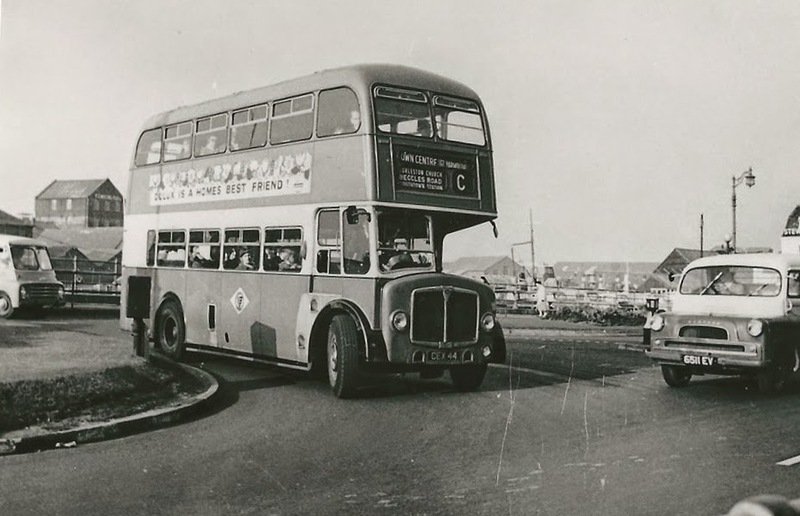 It is seen negotiating the roundabout on Hall Quay and is returning to the Town Centre from Gorleston Cliffs on service C. All Gorleston routes at that time were designated with letters instead of the usual numbering system. Closer inspection of the destination screen reveals via Southtown Station! Not long after, the light was beginning to fail so I abandoned photography for the day and later had the pleasure of being drenched by heavy rainfall whilst on grandparent duties! The season starts over the Easter weekend with an an Easter egg hunt for children on both days. 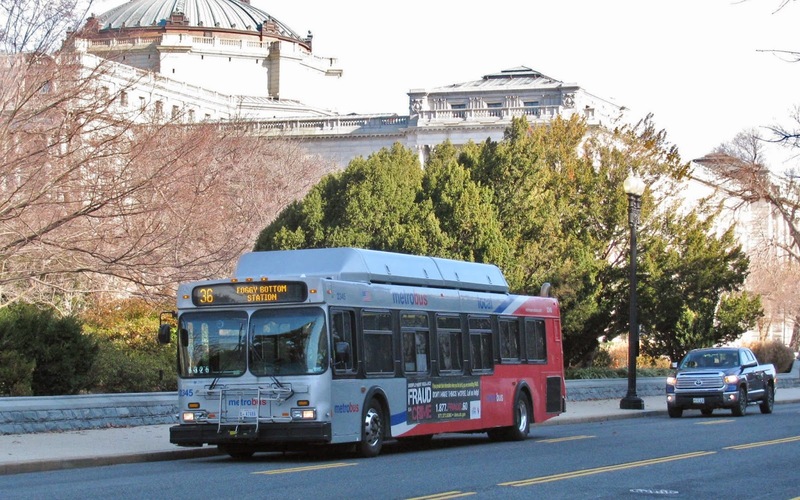 There will be a park & ride service on the Sunday (only) and a BBQ on both days. Saturday 16th & Sunday 17th May ~ Mid-May 40’s Weekend! A look back at the roaring 40s. 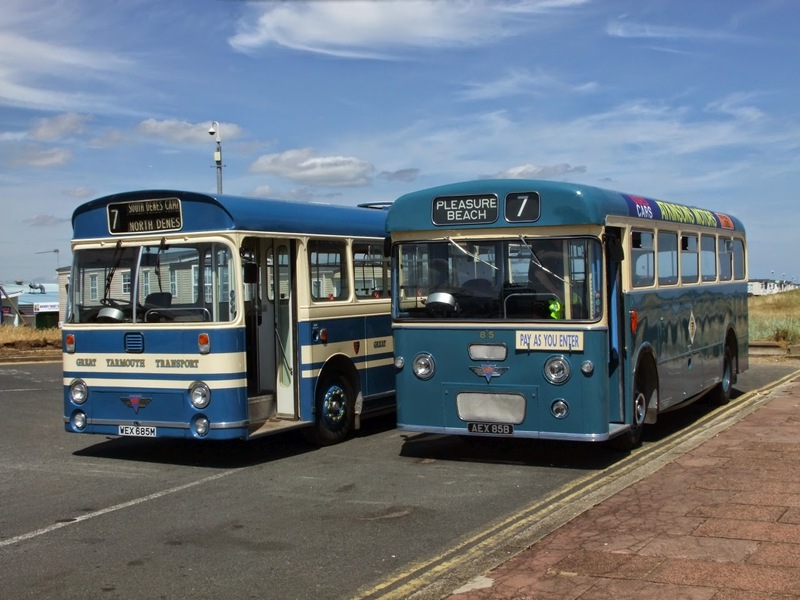 There will be a park & ride, as well as free bus services running to Lowestoft and Beccles using the museum's period buses, along with many visiting vehicles of the era on both days. There will also be trade stands as well as our BBQ. 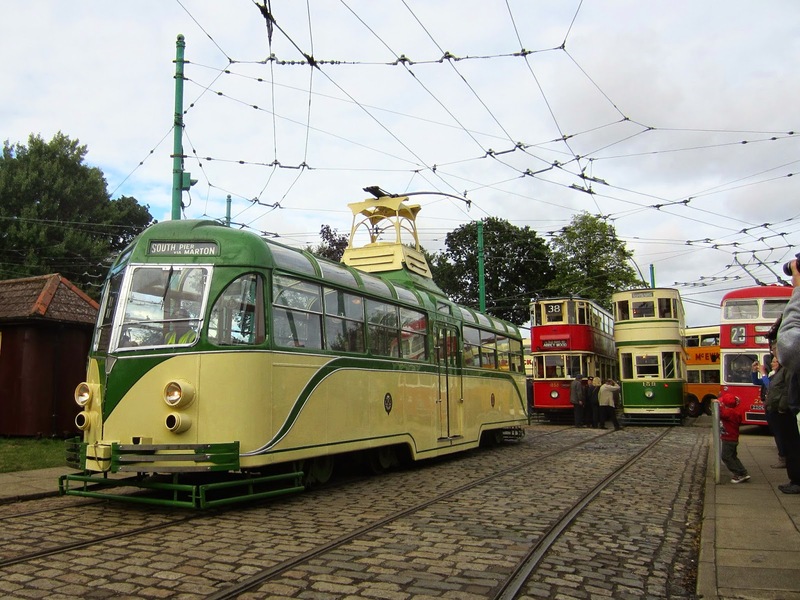 The evening running of our tram and trolleybus fleet on Saturday in the museum's unique setting of the gentle glow of lamplight plus sounds of the band playing make this a weekend not to be missed. 50 years ago the site became a museum in the making and a lot has changed since then. 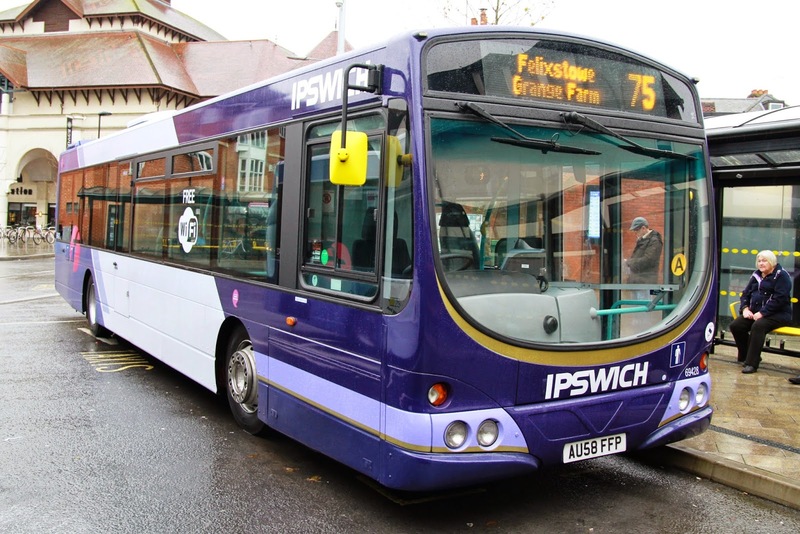 A milestone worth celebrating and you are invited to an event with all the usual facilities of a park and ride and free bus services running to Lowestoft and Beccles on both days. There will be a BBQ and also trade stands. Our trolleybuses will whisk you round the site and our trams will transport you through our sun-dappled woods to a secluded picnic spot. 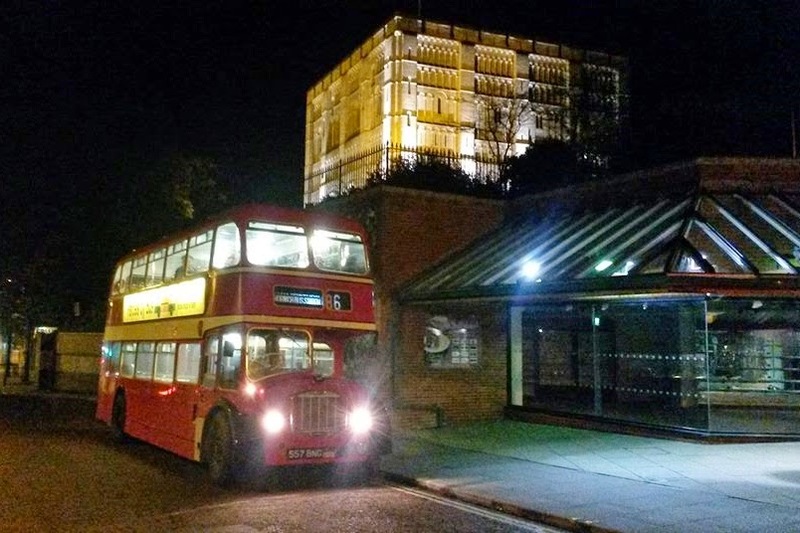 As the season draws to a close a weekend of fun; all available vehicles from the fleet will be running and as the nights begin to draw in we will be running after dark on Saturday. The EATM opens longer into October and is able to offer some spooky happenings around the museum this year, as the woodland area is just the place to attract the ghosts and ghoolies! There will be prizes for all children in fancy dress. Late running into the early evening, twilight will be a chilling experience for all. Rail Replacement work from Norwich to Stowmarket this weekend was the excuse for a trip to a very cold and windy city this morning. It did in fact start off very wet whilst waiting for the X1 from Acle! Numerous operators were noted supplying vehicles for the replacements including First who had been swapping vehicles around on Friday to carry out the duties, Lowestoft Geminis 37569/37571 were noted in use at the Station whilst Norwich's 36175 was out on the X2, Im guessing another was also used but not noted on my visit. 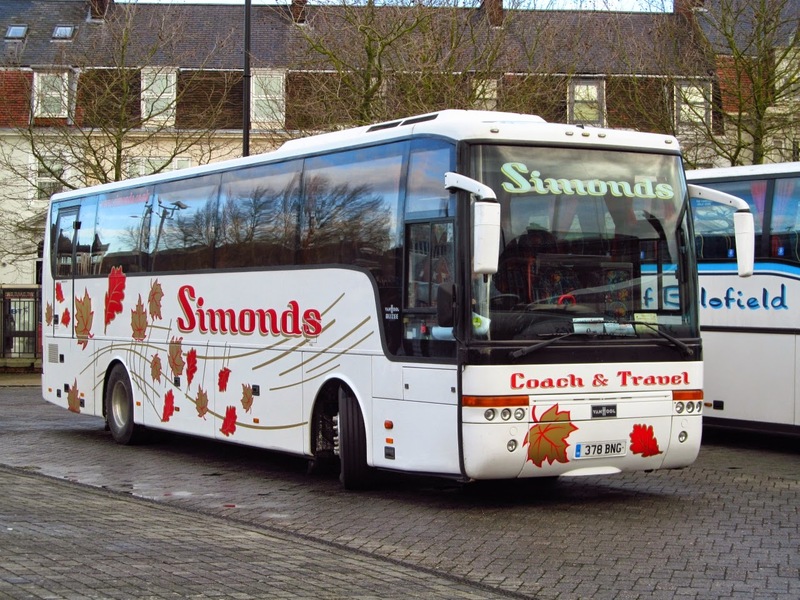 A number of local Coach operators were also on duty including Smiths of Blofield, Chenery, Galloway, Simonds plus Essex companies Turners and Panther Travel. 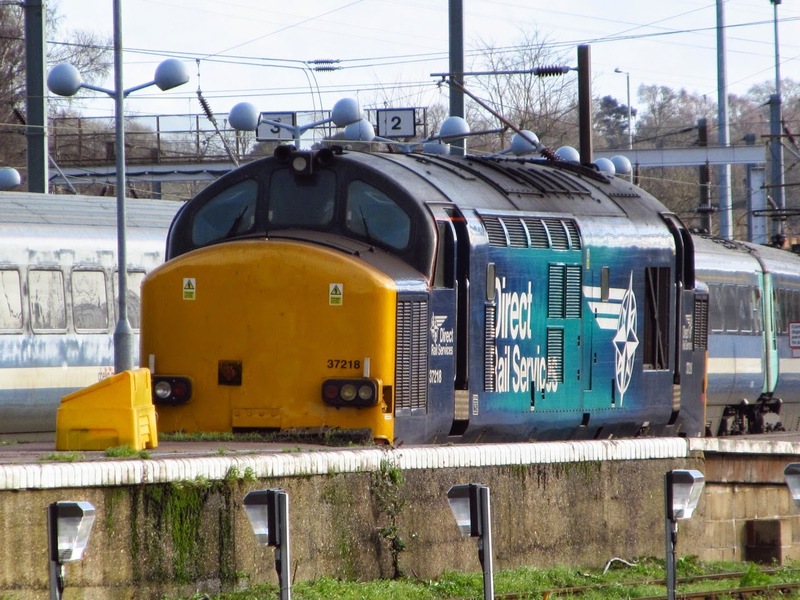 Finally, I'm not much of a train person to be honest but I did note in the sidings at Norwich was Class 37 loco 37218 which is an old school diesel which I believe has been drafted in to replace Class 47 versions here but don't quote me on that! Quick update on arrivals & repaints, 62143 R589SBA is now at Lowestoft Depot awaiting entry into service after arrival from Rotherham this week whilst Norwich based 33167 LR02LYF has been repainted into the Turquiose line version of the new livery at Simon Morris in Ipswich and is now ready apart from the finishing vinyls to be applied, thanks to Jim Long for the photo of her today. 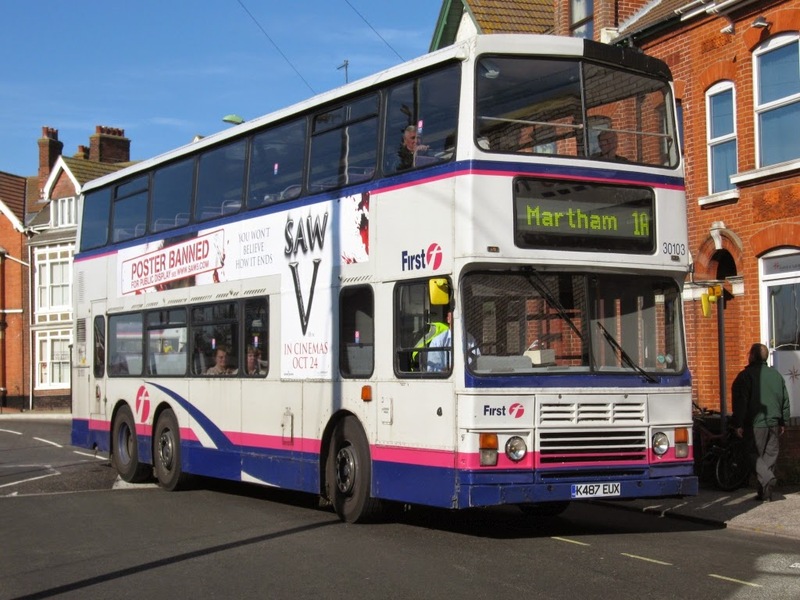 Loanee 60618 R781WKW entered service with Eastern Counties for a second time today after arriving at Yarmouth from Rotherham. 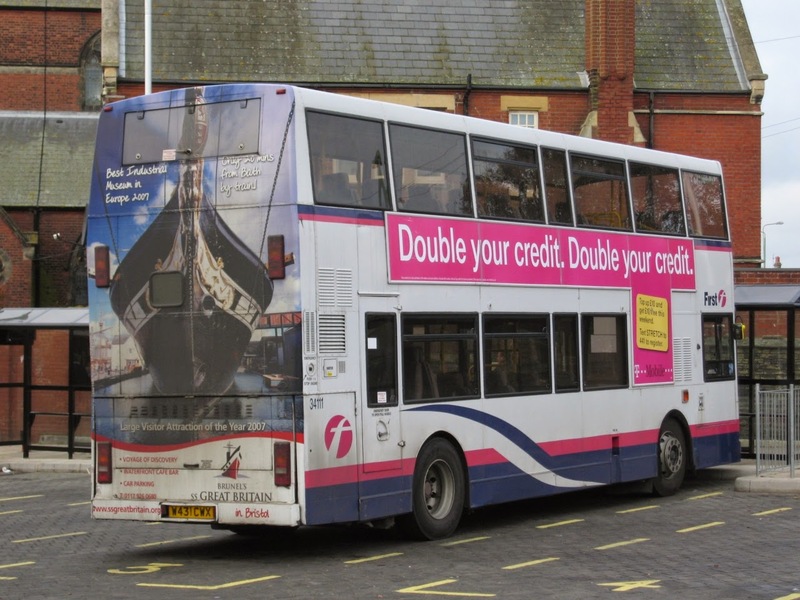 Volvo B7TL 32064 has gone to Rotherham today with 60622 R785WKW coming back to Yarmouth as cover. Yesterday was the turn of Lowestoft to send one of their ALX400's north to Rotherham for its DDA refurbishment, 30886 made the trip with Volvo 62143 R589SBA returning to Suffolk as cover. Following on from Roy's post this morning with the news that Danny & Chris have purchased Great Yarmouth Swift 85, I thought I would share some photos of her back in July 2010 when she was brought down from her then Yorkshire home by former owner Nigel Blair. The East Anglia Transport Museum at Carlton Colville had just completed the restoration of another Great Yarmouth 85 in the shape of AEC, AEX85B.This sunny Saturday morning in July both 85's were joined by another preserved Yarmouth vehicle Leyland 66 EX6566 for a tour of their old Yarmouth haunts. Movements got under way today with 32061 W221XBD making the journey up to Rotherham for refurbishment and First South Yorkshire Volvo 60618 R781WKW was brought back as cover, I can confirm it has now arrived back at Caister Road. 32064 W224XBD is next to go from Yarmouth this week. Thanks to First for the update. Grahame. 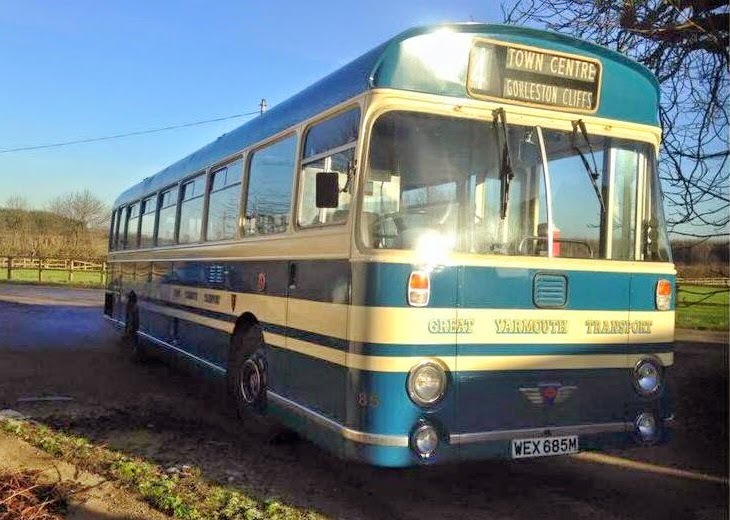 It's good to see the 1973 built bus in safe hands again and Chris has already said it will be used at rallies leading to the possibility of a Swift reunion on the cards. 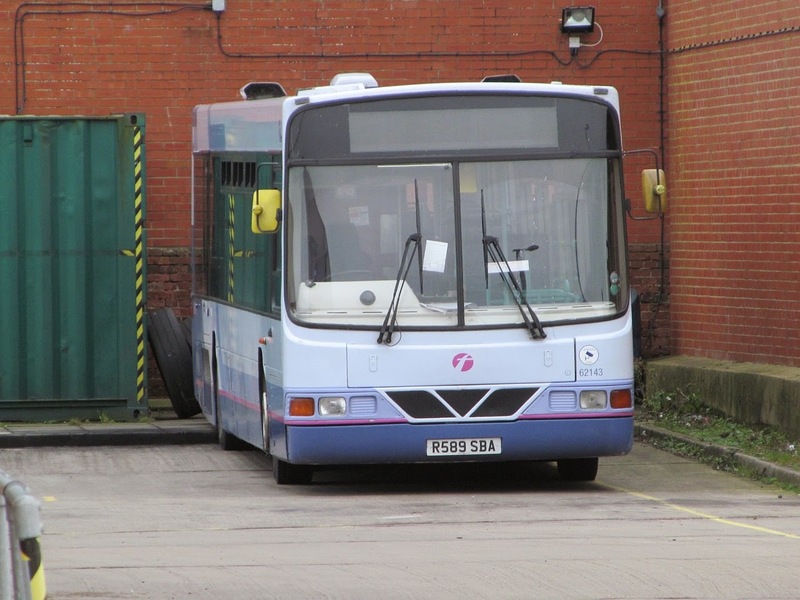 Eastern Counties once used many outstations for their operations but over the years they have all gone by the wayside and only the major depots are in use. 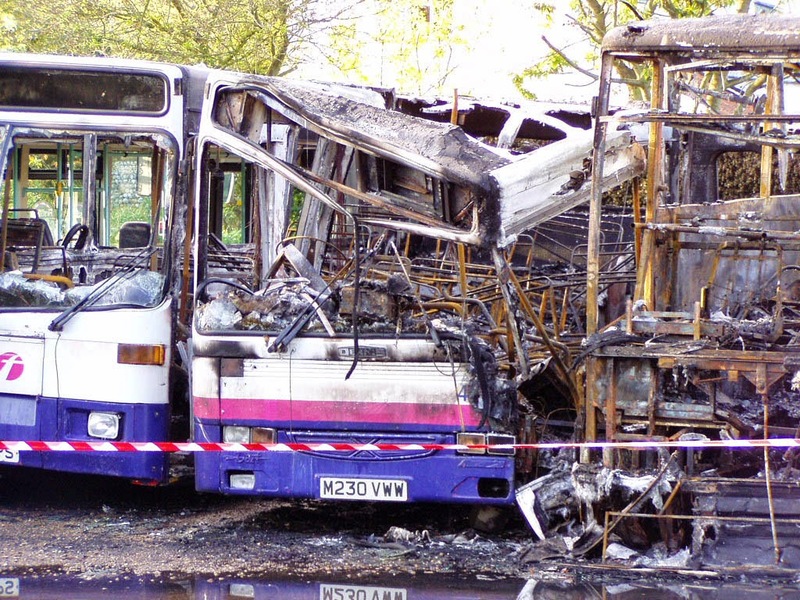 In the early hours of the 3rd of May 2004 an arson attack on vehicles at Stalham outstation in Norfolk saw three vehicles destroyed and another damaged. 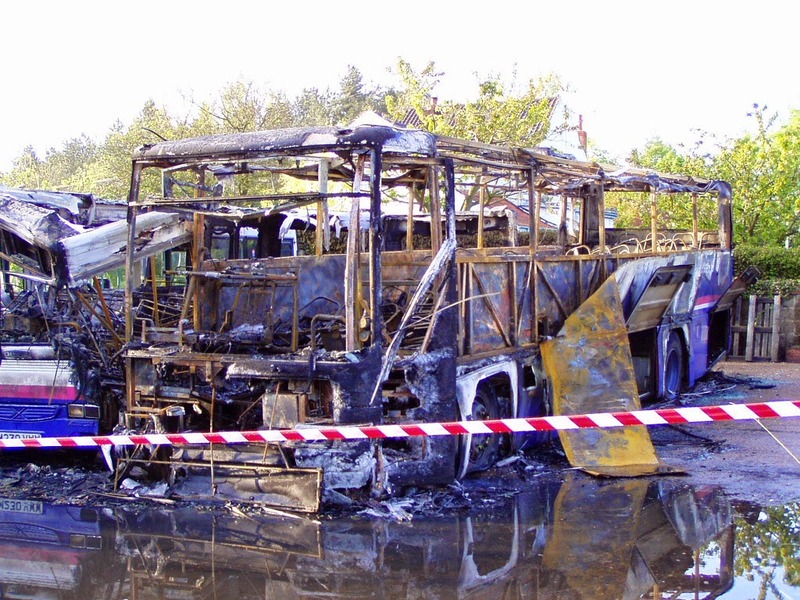 The three vehicles destroyed were Coach N613APU, Darts M230VWW & J513FPS and Scania R144GSF suffered minor damage in the blaze. The photos were taken on the evening after the fire had taken place by myself.